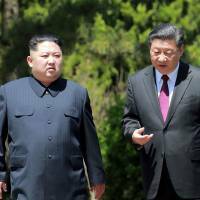 North Korean leader Kim Jong Un began a two-day visit Tuesday, Chinese state-run television said, exactly a week after Kim’s landmark summit with U.S. President Donald Trump, as Beijing seeks a larger role in talks with Pyongyang over its nuclear weapons. The visit was Kim’s third this year to Beijing — North Korea’s top ally and main benefactor. Kim was expected to meet with Chinese President Xi Jinping to brief him on the results of Kim’s summit with Trump in Singapore. At that meeting, Kim pledged his country’s commitment to work “towards the complete denuclearization of the Korean Peninsula,” while Trump vowed to provide security guarantees to North Korea. China was expected to push for a direct, active role in negotiations over the Korean Peninsula’s future, including participation in talks with Washington, Seoul and Pyongyang over a peace treaty. China supported North Korea during the 1950-1953 Korean War, and has since regarded it as a strategic buffer against South Korea, where the U.S. military stations some 28,500 troops. It has long wielded influence as its neighbor’s main economic lifeline. At any meeting with Xi, Kim is likely to ask for relief from severe economic sanctions in return for his pledge to denuclearize, observers say. Washington has argued that economic sanctions against Pyongyang should be lifted only after North Korea achieves complete denuclearization, but Kim has tried to gain concessions by vowing nuclear disarmament in a “phased” and “synchronized” manner. The North’s brief mention of sanctions did not include a timeline for the easing of sanctions. Trump said earlier this month that he would no longer be using the term “maximum pressure” amid improving ties. In March, Kim met with Xi in Beijing on his first foreign trip since becoming supreme leader following the death of his father Kim Jong Il in late 2011. Kim and Xi also met for two days in May in the northeastern Chinese city of Dalian. 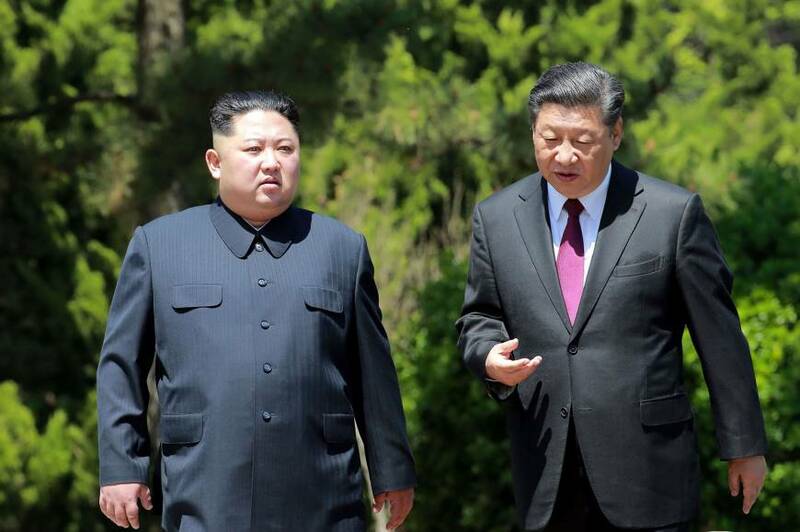 In their earlier meetings, Xi and Kim advocated for a “phased and synchronous” approach to denuclearization. A spokesman for China’s Foreign Ministry said this week’s visit was aimed at further improving the two nations’ relationship after years of chilly ties. “We hope this visit can help to further deepen China-North Korea relations, strengthen strategic communication between both countries on important issues and promote regional peace and stability,” spokesman Geng Shuang said. He did not elaborate. In an unusual move, Chinese state media announced Kim’s visit and said he would stay for two days. Previously, China would only confirm if Kim had visited after he had left the country. The White House has called for the North to take swift and clear disarmament measures before receiving any rewards, though Trump acknowledged at the summit that the meeting was “the beginning of an arduous process.” It has not used language similar to the North in regards to a phased approach to denuclearization. “Kim’s third visit to China, all since March, underlines what should be an obvious point by now — that China’s influence on the Korean Peninsula is overlooked at our own peril,” said J. Berkshire Miller, a senior visiting fellow with the Japan Institute of International Affairs in Tokyo.